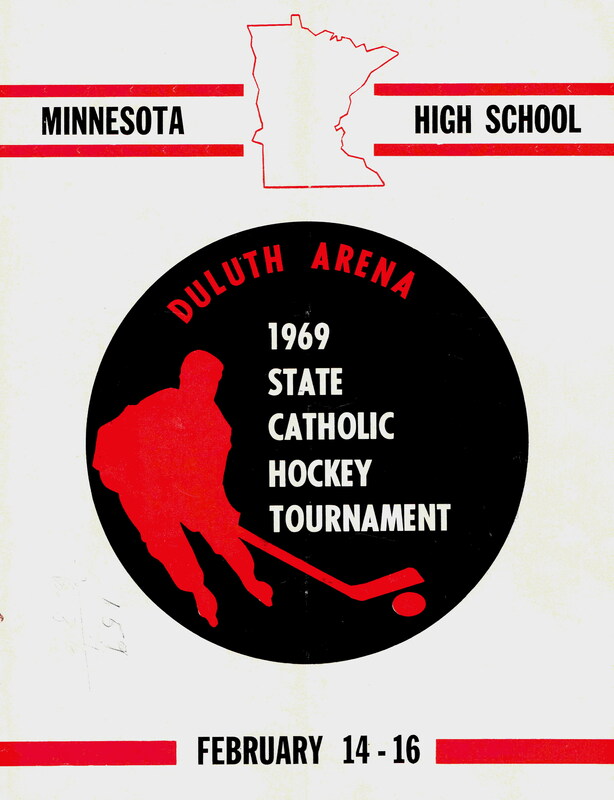 From 1949 - 1974, Minnesota private & Catholic high schools that iced hockey as a varsity sport were not allowed in the Minnesota State High School League, but rather played their own independent preperatory league schedule and Catholic Tournament to decide a season ending Champion. 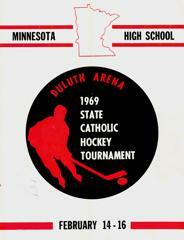 The first private Tournament took placed in 1949 called: The Minnesota Prep School Tournament. It matched the state’s top four Central Catholic Conference teams against the top four in the Minnesota Independent School League (non-Catholic privates). Also, the first year of the State Catholic Tournament, which took the top six teams from the metro-based Central Catholic Conference and matched them up with Duluth Cathedral (Marshall) and Crookston Cathedral, both of which got automatic berths. 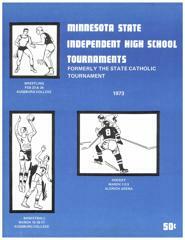 In 1970 the first State Independent Tournament took place, which included all MN private schools. Given the number of participants, regions for the tournament usually involved just one or two games for each team. 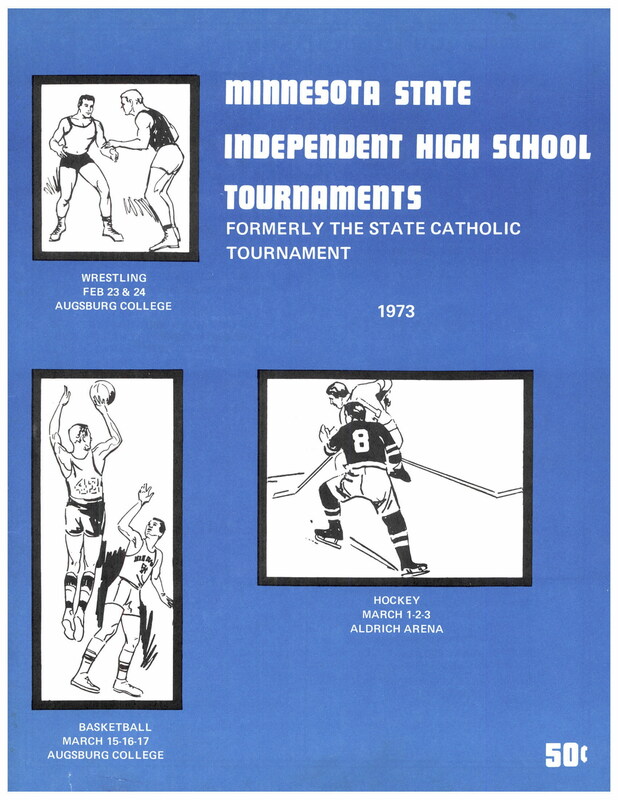 There were also a number of automatic berths at the start, those had all been eliminated by the last State Independent Tournament that took place in 1974. Teams that were part of these leagues are some of the oldest in MN State high school hockey history - namely St. Paul Academy and Blake School having iced teams since the early 1900's, well before the MSHSL first sanctioned year of 1945. Cretin was a dominant team in these leagues. The first year of Minnesota State High School League eligibility took place in 1975 when private schools entered into the MSHSL and were sorted geographically into regions. Hill-Murray advanced to the MSHSL State Hockey Tournament that first year of eligibility in 1975, and additionally became the first private school to win the MSHSL Championship in 1983, that began a storied program of hockey at the school that started as Hill private school. 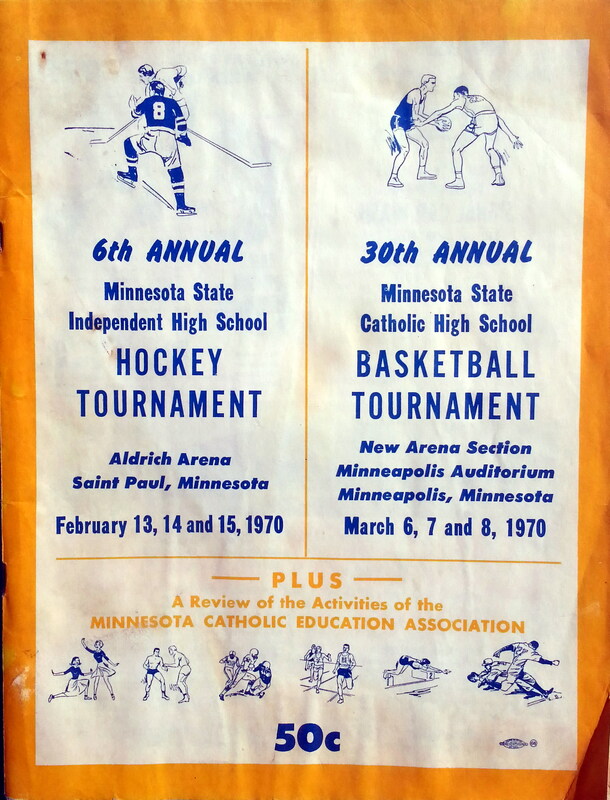 This end of year tournament matched the top four teams from the Central Catholic Conference against the top four teams from the Minnesota Independent School League from 1949-1964. 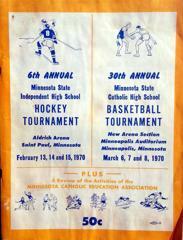 This end of the year tournament matched the top six teams from the Central Catholic Conference plus two outstate teams (Duluth Cathedral and Crookston Cathedral) from 1965-1969. This end of the year tournament started with the top four teams from the Central Catholic Conference, two outstate teams (Duluth Cathedral and Crookston Cathedral), and two teams from the Minnesota Independent School League. 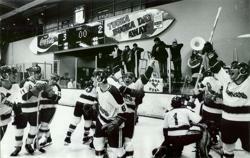 Beginning in 1971, play-offs were introduced to determine three teams from both the St. Paul and Minneapolis regions. Duluth Cathedral and Crookston Cathedral were still automatically in the eight team field. This stayed the same until 1974 when all tournament entries were decided through play-offs. Individual team images supplied, and used with permission from: Blake School Archive, Benilde-St. Margaret's Library, Breck School Archive, Concordia University Library-High School Academy Archive, Cretin-Derham Hall Library, Crookston Cathedral Archive, De La Salle Archive, Duluth Marshall-Cathedral Archive, Hill-Murray School Archive, Minnehaha Academy Library, Shattuck-St. Mary's Archive, St. Agnes Archive, St. Bernard's Church Archive, St. Paul Academy Library, Saint Thomas Academy Archive. Special thanks to Jim Just with www.hmpioneers.net, and historian Mark Lodge for their insight and information about the shown championship results, and year-by-year team rosters respectively.